THIS ANNOUNCEMENTIS A REBULLETINTO MAKE A CORRECTION ON THE SUPPLEMENTAL QUESTIONNAIRE AND TO UPDATE THE SELECTION REQUIREMENTS. PERSONS WHO HAVE ALREADY APPLIED WITHIN THE LAST TWELVE (12) MONTHS NEED NOT REAPPLY, BUT MAY SUBMIT ADDITIONAL INFORMATION BY THE LAST DAY OF FILING. Takes custody of property, clothing, and physical evidence held for investigation at a Sheriff's facility and maintains the chain of evidence. Positions allocable to this senior level class are assigned to an appropriate Sheriff's facility and typically report to a Supervising Evidence and Property Custodian, Sheriff, a Lieutenant, or his/her designee. As a lead worker, incumbents provide technical direction to less experienced Evidence and Property Custodians. Incumbents are responsible for ensuring that physical evidence and other property seized or found by the Sheriff's Department are protected from loss or damage and that the chain of evidence and property records are properly maintained. Incumbents are also responsible for the release, destruction, or disposal of seized or found items as required by law, court order, or departmental policy and guidelines. Incumbents may function as senior or leadperson and be responsible for providing technical direction to a shift of Evidence and Property Custodians assigned to a custody facility. Incumbents must be capable of driving a pick-up truck and/or, on occasion, driving a larger truck in order to pick up evidence or other property from various Sheriff's and inter-agency facilities or crime scenes for transport to an appropriate Sheriff's facility. Incumbents also operate and ensure maintenance of unit vehicles and equipment such as trucks and forklifts. Incumbents must exercise knowledge of Departmental policies and guidelines, applicable laws, statutes, and the Sheriff's Manual of Policy and Procedures governing the storage, safekeeping, and releasing of criminal evidence and other property. Incumbents are required to exercise advanced computer data entry skills as well as an advanced working knowledge of automated accountability and property tracking systems. Positions allocable to Evidence and Property Custodian III, Sheriff are distinguished from positions of Evidence and Property Custodian II, Sheriff by their continual responsibility for contact with large amounts of cash and contraband, such as narcotics, firearms, other booked property of extremely high value or sensitivity, or leadworker responsibility. Collects and issues receipts for evidence and property; validates incoming property control records according to protocol for accuracy and completeness. Performs pre-inspection audits of station records for compliance with departmental policy and evidence and property legal requirements; participates in periodic unit inventories and audits of evidence and other property items. Functions as senior or lead person and provides technical direction to other Evidence and Property staff and/or clerical support staff, volunteers, or inmate trustees assigned to the evidence and other property operations; Oversees and directs the work of lower-level station Evidence and Property Custodians related to property control records, evidence and property packaging, organizing, and transferring to an appropriate Sheriff's facility, as required. Responds to crime scenes on a 24 hour/7day basis to pick up evidence from raids, warrant searches, and other department-related field activities. Lists, catalogues, shelves, stores and records the location of evidence and other property held by the Sheriff's Department; keeps inventory on vehicles impounded by the Department, with the exception of narcotics-related forfeitures; arranges for the release, sale, or destruction of vehicles; reconciles departmental records related to storage fees and auction proceeds. Makes routine pick-ups and deliveries of laboratory evidence at various Sheriff's stations and inter-agency offices, and transports to an appropriate Sheriff's facility. Retrieves property from storage and releases to authorized persons. Researches and monitors publications for the introduction of new narcotics and the safe and proper handling of same. Prepares evidence for viewing, identifying, fingerprinting, or photographing. Tags and records items for auction; prepares lists of property items for auction, including descriptions and serial numbers, and separates and processes disposable property. Locates, removes from storage, disposes of, and/or arranges for the disposal of gambling devices, alcoholic beverages, dangerous or hazardous chemicals/materials, electronic waste, and other property, as prescribed by law. Processes all weapons for disposal, including those from outside agencies, for return to owner, departmental use, or destruction; obtains computer checks of weaponry disposition. Processes narcotics for disposal, including those from outside agencies. Identifies, catalogues and prepares high value items such as jewelry, antiques, or collector's items for auction. Completes data entry tasks by utilizing a computer tracking system indicating receipt, inventory, disposition, and/or release information relative to evidence and other property at the station level. Verifies that evidence storage freezers maintain required temperature; reports any variations to a supervisor. Answers telephones and provides information pertaining to the booking and processing of evidence and other property, availability for release, dispositions, locations, police auctions, and other questions relating to material. Compiles and submits a variety of statistical reports and summaries relative to the maintenance of the evidence and other property. Acts as a supervisor when the supervisor is absent, as required. Option I: Two yearsand six monthsof experience involving store-keeping, stock, property, or warehouse inventory and maintenance which must include experience in the receipt, storage, tracking and disposal of evidence or property. *To qualify, applicants must have County status in the class, as evidenced by holding or having held such payroll title. NO OUT OF CLASS EXPERIENCE WILL BE ACCEPTED. As part of this application process, applicants will be required to complete a supplemental questionnaire. The questionnaire contains a pre-investigative questionnaire which will be utilized as part of the background investigation process to ensure applicants meet the standards set forth by the Los Angeles County Sheriff's Department. Applicants who fail the pre-investigative questionnaire will be disqualified and will have to wait twelve (12) months from the date of the disqualification in order to reapply. **License Information:Successful applicants for this position will be required to obtain a copy of his/her driving record from the California State Department of Motor Vehicles before being appointed. A copy of your driving record must be presented at the time of your appointment. License must not be suspended, restricted, or revoked.AN APPLICANT WHOSE DRIVING RECORD SHOWS THREE (3) OR MORE MOVING VIOLATIONS WITHIN THE LAST YEAR WILL NOT BE APPOINTED. This examination will consist of an interview covering training, experience and general ability to perform the duties of the position weighted 100%. Please note: Invitation letters will be sent electronically to the email address provided on the application. It is important that applicants provide a valid email address. Please add v2flores@lasd.org to your email address book and to the list of approved senders to prevent email notifications from being filtered as spam/junk/clutter mail. Reference materials are available to assist candidates prepare for the examination process. Reference materials can be accessed by clicking on the below links. The names of candidates receiving a passing grade in the examination will be placed on the eligibleregister in the order of their score group for a period of twelve (12) months following the date of promulgation. Applications will be processed on an as-received basis and promulgated to the eligible register accordingly. SUCCESSFUL CANDIDATES MUST COMPLETE A THOROUGH BACKGROUND INVESTIGATION, INCLUDING FINGERPRINT SEARCH. Examples of disqualifying factors include: Any felony convictions; job related misdemeanor convictions; certain serious traffic convictions or patterns of traffic violations (3 moving violations in one year; failure to appear; at fault accidents; suspended license; driving under the influence); poor credit history; poor employment history; substance abuse; anyone on probation. Any employee found in violation of this policy will be subject to discharge. The eligibleregister resulting from this examinationwill be used to fill vacancies located throughout the Los Angeles County Sheriff's Department. 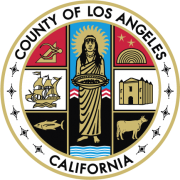 All applicants are required to submit a Standard County of Los Angeles Employment applicationand supplemental questionnaireONLINEonly. Resumes cannot be accepted in lieu of applications, although resumes and supporting documents may be uploaded as attachments to the online application. Fill out your application and supplemental questionnaire completely. Provide any relevant education, training, and experience in the spaces provided so we may evaluate your qualifications for the job. All information is subject to verification andapplications may be rejectedat any time during the selection process. The acceptance of your application depends on whether you haveclearlyshown that you meet theSELECTIONREQUIREMENTSand you have completely filled out your application. Utilizing VERBIAGE from Class Specification and Minimum Requirements serving as your description of duties WILLNOT be sufficient to demonstrate that you meet the requirements. Doing so may result in an INCOMPLETE APPLICATION and you may be DISQUALIFIED . NOTE:Candidates who apply online must upload any required documents as attachments during application submission. If you are unable to attach required documents, you may fax the documents to (323) 415-2580 at the time of filing, or during the examination process but prior to promulgation.Please include your Name, the Exam Number, and the Exam Title on the faxed documents. NO SHARING OF USER ID AND PASSWORD: All applicants must file their application online using theirOWN user ID and password. Using a family member or friend's user ID and password may erase a candidate's original application record.